This giveaway is provided by HiLine Coffee. A few months back I had the chance to try out HiLine Coffee’s espresso capsules that are compatible with Nespresso brand machines and it’s been love ever since. When I found out that HiLine was launching whole bean coffee as well as k-cups, I just about died with excitement. I’m a total sucker for good coffee, and HiLine has not disappointed. 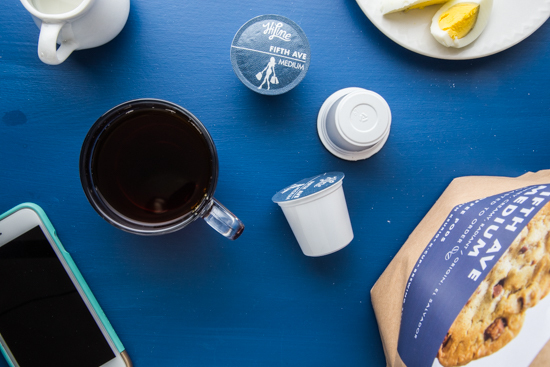 HiLine is offering their coffee pods (k-cups) in three different blends. 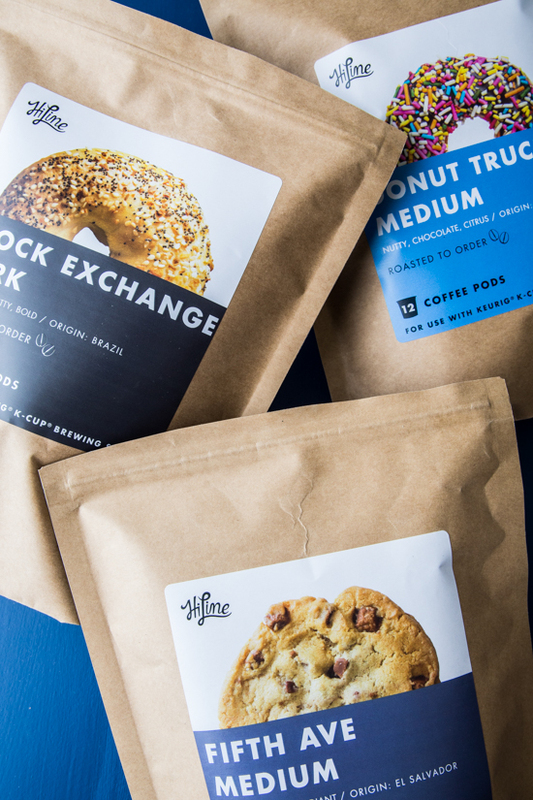 What sets HiLine apart from other coffee companies is that all of their coffee pods are roasted, packed and shipped to order. That means no pods have been sitting on a store shelf for months on end, losing taste and freshness. HiLine is a small company with little overhead so they are able to invest in the highest quality beans and pass the savings on to their customers. I love that HiLine coffee is so reasonably priced, because we go through a serious amount of coffee in our house. This coffee is as fresh as it gets and extremely rich and flavorful. Let me run down the three blends and their characteristics, as well as what I like about each one. First up is Stock Exchange: Dark. I LOVE this blend. This blend is quite bold, but smooth with notes of raspberry, almond and chocolate. It’s the most intense of the three blends and is a great pick me up on a chilly Monday morning. Next is Fifth Avenue: Medium. This blend is rich, spicy and sweet all at the same time. A lovely medium blend for those who don’t want their coffee quite as dark as the Stock Exchange. Last but not least is the Donut Truck: Medium. This is my husband’s favorite blend, and it’s a fabulous all around blend. With notes of citrus and chocolate, it’s smooth and will always hit the spot. THE GIVEAWAY IS OVER AND THE WINNER WILL BE CONTACTED VIA EMAIL SHORTLY – THANK YOU FOR ENTERING! 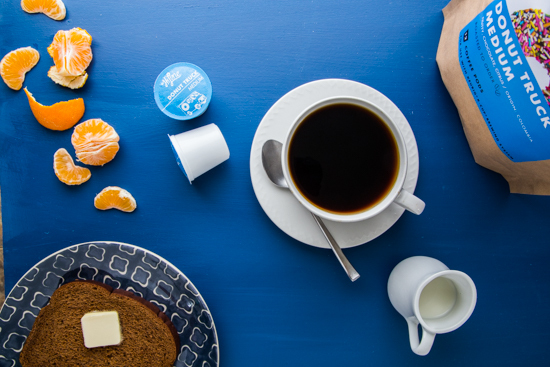 I am SO happy to share with you that HiLine is giving one lucky Jelly Toast reader $100 worth of HiLine coffee pods! That is a serious amount of coffee! All you have to do is leave a comment below on this blog post telling me which blend you’re dying to try (or two or all three!). One winner will be chosen at random to receive their choice of blends (or combination of blends). The giveaway will run through Wednesday, December 10th Friday, December 12th at 9:30 PM EST. One entry per reader, must be a US resident to enter. Because HiLine is oh, so kind and knows that I’m obsessed with Cyber Monday (which is today, ahem…) they are offering Jelly Toast readers a discount on your HiLine coffee order from now through December 3rd (11:59 PM EST). You will receive $10 off your order of $10 or more! Simply use the coupon code TOAST at checkout to receive your discount! How cool is that? Good Luck and Happy Cyber (Coffee) Monday!! Disclosure: This is not a sponsored post. I received 3 packages of HiLine Coffee Pods for my HiLine Coffee Pods Review, but did not receive compensation for this post. HiLine Coffee is generously providing the prize for this giveaway! All opinions are my own. The donut truck one sounds intriguing! 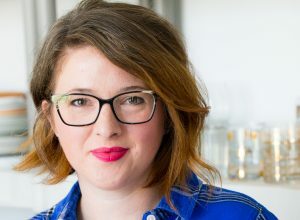 The Fifth Avenue Medium looks great- I’d like to try it out! 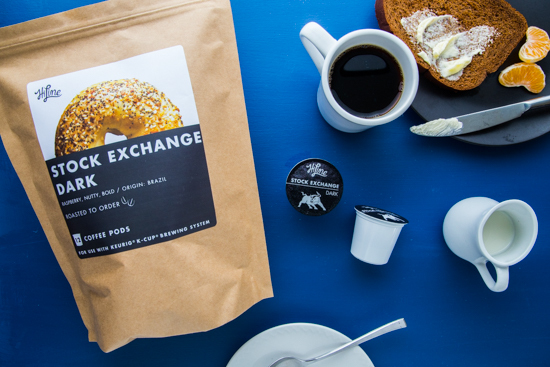 Stock Exchange Dark sounds perfect for our morning espresso! The 5th Avenue Medium sounds delicious! I’d love to try it. Would love to snag that Stock Exchange Dark for Andy – he’d no doubt be smitten! I’d love to try the donut truck! I’d love to try the Fifth Ave Medium. I would like to try the donut truck, YUM! Donut Truck sounds delicious! Love medium blends. I would love to try all of them but first I would try the Fifth Avenue: Medium. HUGE coffee fanatic here! The Stock Exchange Dark sounds really good for this mommy of 5 littles! The Stock Exchange (dark) roast sounds great! donut truck and fifth ave sound like my kinda coffee so i would love to try both. All three sound lovely but Fifth Avenue sounds just my style! Fifth Avenue sounds just like my cup of coffee 😉 I can’t wait to try it. Stock Exchange! I love strong blends. Stock Exchange Dark all the way! Mmmmm, the Stock sounds yummy! I love dark roast! Stock Exchange Dark sounds Wonderful!!! I think the 2 medium blends would be for me. My husband wold love the dark. How did I miss this post before? I’m a medium roast kind of girl, so the Donut Truck sounds good — love the packaging too! Would love to try the Donut Truck Medium! Stock Exchange Dark looks and sounds divine! If it has the word donut in it I am there! Stock exchange Dark. I’m a dark roast coffee junkie! Normally I’m strictly a dark roast kind of girl so I’d opt for Stock Exchange, but that description of Donut Truck sounds absolutely delicious. I like Dark, so I’d choose Stock Exchange. All 3 sound amazing and the packaging is lovely! I think I am most interested in trying Donut Truck.